Scottsdale Mortgage rates fell last week after market turmoil sent the yield on a 10-year Treasury briefly below 2 percent. Freddie Mac says a 30-year fixed-rate Scottsdale mortgage averaged 3.84 percent tin the week ending August 27, down from 3.93 percent the previous week, and the lowest since May. A year ago, 30-year rates averaged 4.1 percent. This is the fifth straight week that 30-year rates have stayed below 4 percent. A 15-year fix averaged 3.06 percent, down from 3.15 percent last week. A one-year adjustable rate mortgage averaged 2.62 percent, unchanged from last week. "Events in China generated eye-catching volatility in equity markets worldwide over the past week," according to Freddie Mac chief economist Sean Becketti. "Interest rates rocked up and down — although to a lesser extend than equities — as investors alternated between flights to quality and bargain hunting among beaten-down stocks." Freddie Mac expects 30-year Scottsdale mortgage rates to remain subdued in the short-to-medium term. A separate report last week showed home sales continue to gain. The National Association of Realtors says pending sales of existing homes in July were up 7.4 percent from a year ago, to the third highest level this year. The changes to the process of getting a Scottsdale mortgage are significant, especially for those real estate professionals who have been working in the residential side of the business for quite some time. The first major change is in the paperwork. The existing Truth-In-Lending statement is getting merged (somewhat) with the existing HUD-1 settlement statement. What does this mean for most home buyers? Closing agents, title companies and closing attorneys will now deliver a “Closing Disclosure” to the borrower. The Closing Disclosure is a five-page form that combines many aspects of the Truth-in-Lending form and the old HUD-1 settlement statement (also affectionately known as the RESPA statement). In addition to the Closing Disclosure that is given to the borrower and not to the seller, the buyer and seller will sign a Settlement Statement. This new settlement statement has a very different look than the old HUD-1 settlement statement. Since most buyers and sellers found the old HUD-1 form to be fairly incomprehensible, you’d hope that a redesign would make it more clear where the cash is coming from and going to in the closing. 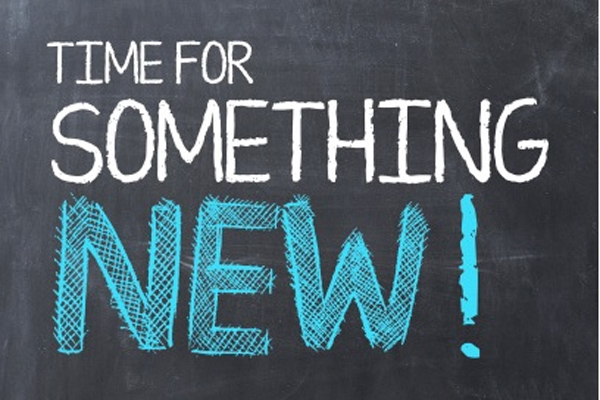 Unfortunately, it doesn't appear that the new form will strike most buyers and sellers as much of an improvement. The key to clarity in the closing of real estate transactions is the person working with the buyer/borrower at the closing. And that brings us to the next new issue coming down the line. The government has always had a rule that requires lenders to give you the closing cost disclosure in the form of the HUD-1 one day before closing. But frequently, the HUD-1 has been given to borrowers on the actual day of the closing or late on the day before closing. The borrower then has little time to review the closing statement and understand it before going to closing on their new home. The government is trying to fix the timing issue, hence, the new timing requirement that will come on October 1. The new rules will require lenders to give a borrower three days to review the Closing Disclosure, and that must be at least three days before closing. In other words, about seven days before closing, a lender must send the disclosure to the borrower. The borrower would then have three days to sit and review the disclosure and the closing could occur three days after the end of that first three-day period. 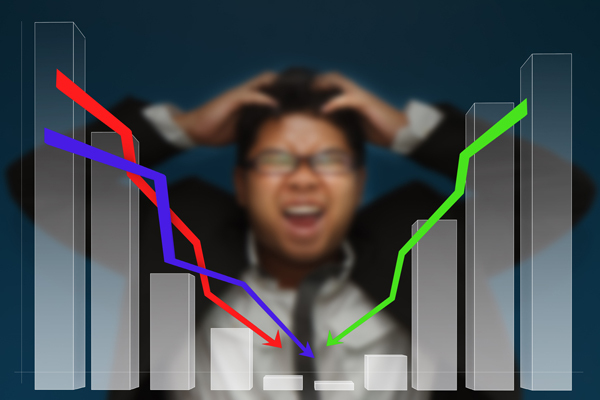 There is a bit of confusion in the industry relating to the impact the change will have on the timing requirements, on the calculation of certain fees (in particular owner’s and lender’s title insurance policies) and whether other last minute changes to the Closing Disclosure would require a new three-day disclosure period and push closings out at the last minute. This will play out in real time during hundreds, or even thousands of closings set for the end of September and into the beginning of October — and that’s what’s making everyone in the real estate business so nervous. We’ll all be watching to see what the regulators come up with for Oct. 1. This will be the final issue of our "Scottsdale Real Estate Newsletter." We keep this website completely updated every couple of days throughout each and every month, and therefore, retiring what is categorized as a "Newsletter" doesn't really mean much, other than the fact that we'll continue to bring you the most up to date news we possibly can, only itemized more in our other categories to your right. We made the decision to dissolve the "Scottsdale Real Estate Newsletters" category in lieu of making the information we include in the newsletters easier for you to find in the specific categories for which they have covered in the past. For example, instead of being buried in a library of past newsletters, articles we included in this issue will now be expanded on further and listed in the category for which it most applies. This month, the two articles above would fall under the Scottsdale Mortgage Info and Scottsdale Real Estate categories to your right, so it will make our news easier for you to find and look back on. We hope you will continue to enjoy the information we provide for you here at our website/blog, and find that by us breaking these stories down and into the categories they would fall under, it will make finding the information you want much easier. Scottsdale home ownership rates are the lowest they’ve been in 48 years, and there are several factors involved, including a strong rental market and a lack of traditional household formation. But let's look at why millennials are NOT to blame for the lower rate in Scottsdale home ownership. Some stats about Millennial homebuyers — those aged 34 and younger — that show that they are not only buying homes, but also what trends they're following as they do. According to a study of generational trends (namely, Millennial home buyers) by the National Association of Realtors, 65% are married couples, 14% are unmarried couples, 12% are single females, 8% are single males and other combinations create the last 1%. So, being unmarried isn’t keeping Millennials from joining the ranks of Scottsdale home ownership. Stats and trends show that Millennials are moving out of the rental market and buying the homes they once rented. Forty-nine percent are buying in the suburbs, 21% in urban areas, 17% in small towns, 13% in rural districts, and 1% are buying in resort towns. This is a more diverse buying pattern then those from 35-49, who are buying 60% of their homes in the suburbs. Not only are Millennials buying homes, but they’re relying on real estate agents to make the deal happen. The study shows 90% of Millennials used an agent to close their deals, with only 5% going through a builder and 4% buying directly from the previous owner. Millennials are definitely joining the ranks of Scottsdale home ownership, but let's look deeper into the trends of this age group to see why more are not buying a home. According to the same recent study by the NAR, Millennials prefer walking over driving by 12 percentage points. Millennials want to live within walking distance to shops and restaurants, and have a short commute to work. They also favor expanding public transportation and alternatives such as biking. This is the largest margin in favor of walking for any generation, ever. The Scottsdale housing market may be seeing a drop in overall numbers of those owning homes now versus past years because of the disinterest in traditional single-family homes by these Millennials prefering to walk rather than commute to and from work and recreation. Nearly half of Americans participating the recent survey by the NAR said they would prefer to live in neighborhoods that have small yards but are in easy walking distance to stores and restaurants, vs neighborhods with large yards but where driving is required to get to amenities. Even though the job market is improving, it seems that more and more Millennials are living with their parents today than they were at the height of the Great Recession. We'll look deeper into this in a moment. It's no secret that Millennials have had a tough time getting started with careers, families and saving for retirement. And this struggle has carried over into home ownership as well. Everything from the recession, to the rising cost of higher education, to the increasing scarcity of better-paying jobs has taken its toll on people born in the last two decades of the 20th century. Many Millennials feel there is no hurry to own their own Scottsdale home, because of how the economy has changed. Our current economy has shifted to a knowledge-based or connection-based economy, and we are seeing people now work well into their 70s, 80s and beyond. So many Millennials feel they have plenty of time to become home owners. 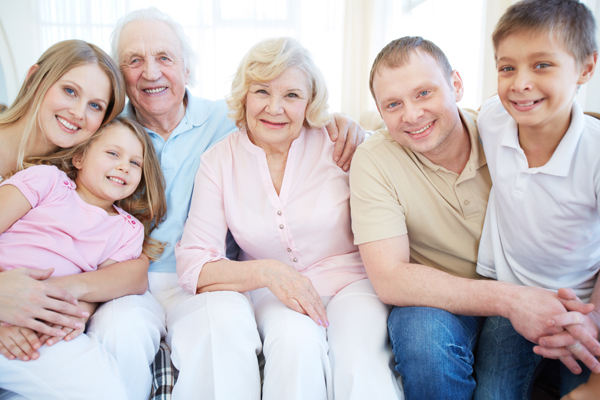 According to a new Pew Research Center analysis of U.S. Census Bureau, which found that the share of young adults living in their parents' homes has increased from 24 percent in 2010 to 26 percent in the first quarter of 2015. During the same period, the unemployment rate for adults ages 18 to 34 dropped from 12.4 percent in 2010 to 7.7 percent this year. Despite the fact that there are 3 million more Americans in the 18-34 range now than there were in 2007, the number who are living independently has fallen from 42.7 million in 2007 to 42.2 million today. This trend could be one reason why the economy, and namely, the Scottsdale housing industry, isn't growing stronger than it is. The growing young adult population has not fueled demand for Scottsdale housing units and the furnishings, telecom and cable installations, and other ancillary purchases that accompany newly formed households according to the Pew Research Center. Millennial women, by the way, are more likely to leave the nest than millennial men, and fewer women tend to buy a home on their own than do men. So what do we glean from all this Millennial data? Trends have changed. Potential Scottsdale homebuyer desires have changed. Has the real estate market failed to change with the demand? Something to think about! 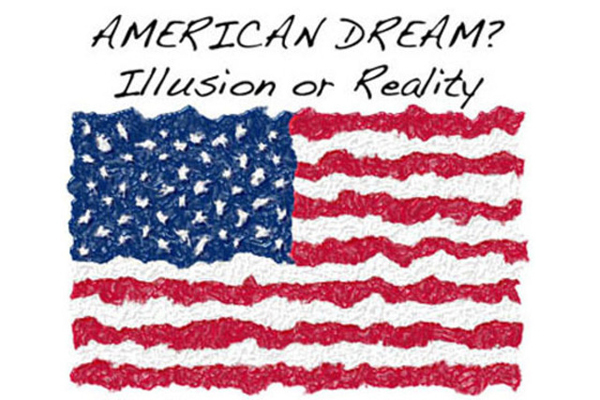 Owning a home is no longer the American dream it once was. The lingering effects of the Great Recession and housing bust have altered Scottsdale homeownership – a change likely to ripple through the Scottsdale housing market for years to come, according to a recent study conducted by the Joint Center for Housing Studies of Harvard University. Because of a lack of jobs, slow income growth and other financial factors – including the weight of student and other debt, homeownership continues to lose steam, sales of existing homes are lagging and single-family construction is at near historic lows. The homeownership rate stands at 64.5 percent, where it stood in 1993. The rate fell for eight consecutive years after peaking in 2004 at nearly 70 percent. While homeownership has dropped off, those living in apartments continues to increase along with rental rates. Rents on a national basis have nudged up by 3.2 percent, meaning affordable housing is becoming out of reach for a segment of the population. The flip side of falling Scottsdale homeownership rates has been exceptionally strong demand for rental housing, with the 2010s on pace to be the strongest decade for renter growth in history. With no signs of a slowdown in renter household growth, rental markets are likely to remain tight in the near term. Roughly 45 million people will choose to rent a home instead of buy this year– many for the first time. Popular advice insists that renters should not spend more than one third of their annual salary on rent – but that doesn’t necessarily mean that’s how much you actually end up spending. Rent is only one of your monthly expenses; so don’t forget to budget for things like utilities, cable, Internet or even weekly groceries. Surprisingly, not a lot of new renters research their landlord or rental company before signing a lease. People research restaurants before dining, so why not do the same with someone you’ll be paying rent to for a year? Studies show that 66% of burglaries happen in the home, and renters are just as likely to be victimized as homeowners, yet fewer than 45 percent of them actually purchase insurance. The average price of renters insurance is only $15 a month, and saves you from financial disaster in the event of theft, accidents or property damage. It’s important to build a good credit score in case you want to buy a Scottsdale home someday. The easiest way to do that is to pay rent on time each and every month, and if you do miss a payment or have to pay late, include a formal letter of apology to your landlord with your rent for his or her records. A neighborhood can seem safe and active during the day, but nighttime can tell a whole different story. Familiarize yourself with your new neighborhood by looking up local crime maps and signing up for sites like EveryBlock, which aggregates crime news from local outlet sources, public police reports and comments from local residents. Do your research and find a safe and fun neighborhood that suits you. Home sales could be off to their best year since the housing and economic downturn, with May marking the fifth straight month that contract signings have climbed, according to the National Association of Realtors. The Realtor’s Pending Home Sales Index, which is based on contract signings, climbed 0.9 percent to 112.6 in May from a slight downward revision of 111.6 in April and is now 10.4 percent above May 2014 (101.9). This year’s stronger sales — coming with similarly tight housing supplies from a year ago — have caused Scottsdale home prices to rise to an unhealthy and unsustainable pace. Housing affordability remains a pressing issue with home-price growth increasing around four times the pace of wages. Without meaningful gains in new and existing supply, there’s no question the goal post will move further away for many renters wanting to become Scottsdale homeowners. Buyer's views toward Scottsdale housing have not varied much over the past year, and they are still positive on homeownership as a good financial investment. 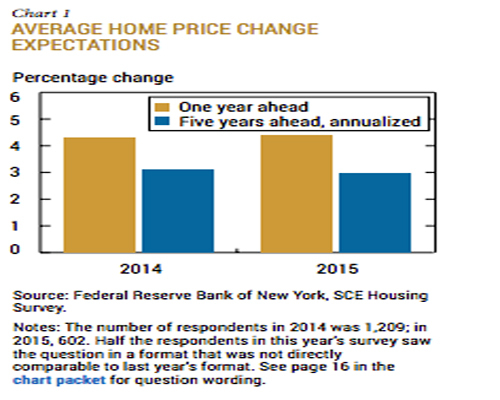 According the Federal Reserve Bank of New York's 2015 housing survey, U.S. households, on average, expect home-price growth to continue at a 4.4% pace for the next year, comparable to the average year-ahead expectation reported in last year's survey. Last year's survey was the first in the series, with this year's survey getting administered to 1,205 U.S. heads of household in February 2015. Here in Scottsdale, owners seem to have become more bullish since last year's survey. The proportion of owners who think that Scottsdale housing is a good investment increased from 58.5% in the 2014 survey to 63.2%, while the proportion thinking that Scottsdale housing is a bad investment declined from 11.9% to 9.8%. Many analysts are saying the Scottsdale housing market has normalized amid the pickup in activity since the recession doldrums. But all is not well for people trying to buy–especially if they're first-time buyers or on the lower end of the price spectrum. Here's what you need to know to compete as 2015's spring Scottsdale home buying season swings into the home stretch. There are a lot of potential buyers in the market, but supply of available homes for sale is just not enough to satisfy demand, which is causing prices to be on the high side. As of the end of April, the number of available homes for sale—both newly constructed and previously owned—was well below the six-month supply considered a balanced market: 5.3 months for pre-owned homes and 4.8 months for new ones, according to NAR. Inventory constraints coupled with demand for real estate are pushing prices up. In many areas around the Scottsdale area, homes are selling at or above their list price. Don't expect the price gains to go away. Freddie Mac predicts an average home price gain of 4.5% in 2015 (on a national basis), while the National Association of Realtors is now forecasting that homes will rise by 6.7% this year. 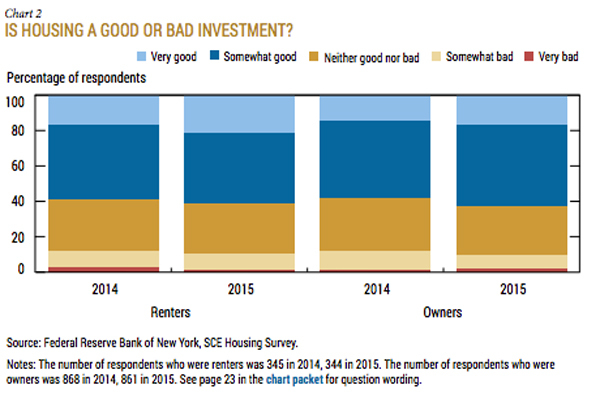 For buyers the good news is, in 2015 there's less competition shaping up from investors in general. In the depths of the housing crisis, institutional investors were the big winners, snapping up single-family homes by the thousands. But they're less of a force today. In the first quarter of 2015, a total of 14,621 single-family homes were sold to institutional investors nationwide (defined as entities that purchase at least 10 properties per year), according to RealtyTrac. That's about 3.4% of all sales, down from 6.2% a year ago, and the lowest share for institutional investors in four years. All-cash deals are also down: of non-owner-occupied buyers, 44.7% were all-cash, compared to 61% a year ago and also the lowest level in four years. Markets are moving slightly faster than they were last year, so it's going to be a little more difficult overall for homebuyers to find a home they want in a reasonable time frame. Homes priced at the lower end of the market are moving quickest: only 50% of homes priced in the lower one-third were still on the market after two months, compared with 65% of higher-priced homes. In the worst days of the housing crisis, it was tough to get credit. These days credit availability is at its highest level since the housing downturn, but watch out: interest rates have stayed at historic lows for months now, and Freddie Mac is predicting increased volatility. This past week, rates rose to the highest level in 2015. (See our next article below). With summer now in full swing (even though the calendar hasn't officially welcomed it yet), more potential home buyers are looking around. There is good news as Scottsdale mortgage rates remain at near historic lows, although they are rising, according to Freddie Mac. Although existing home sales slipped 3.3% to a seasonally-adjusted pace of 5.04 million units, sales are up 6.1% on a year-over-year basis. The S&P/Case-Shiller 20-city home price index also posted a solid gain of 5% over the 12-months ending in March 2015. The average 30-year fixed mortgage sits at 3.87 percent this week, an increase from 3.84 percent the previous week. The recent boost has brought Scottsdale mortgage rates to their highest levels of 2015. 15-year fixed rates this past week averaged 3.11 percent with an average 0.5 point, up from last week when it averaged 3.05 percent. A year ago at this time, the 15-year fixed rate averaged 3.21 percent. 5-year Treasury-indexed hybrid adjustable-rate mortgages (ARM) averaged 2.90 percent this week with an average 0.5 point, up from last week when it averaged 2.88 percent. A year ago, the 5-year ARM averaged 2.96 percent. 1-year Treasury-indexed ARM's averaged 2.50 percent this week with an average 0.3 point, down from last week when it averaged 2.51 percent. At this time last year, the 1-year ARM averaged 2.41 percent. However, a year ago, 30-year rates averaged 4.21 percent. The rise in Scottsdale mortgage rates was due to positive housing data as U.S. home sales climbed 7 percent in April. Overall lower mortgage rates are playing a role in bringing out local home buyers. The historic low for 30-year rates was 3.31 percent in November 2012. Pending Scottsdale home sales were up in March, even though the low supply of available homes for sale is still a concern. The National Association of Realtors said this week that its seasonally adjusted pending home sales index rose 1.1 percent to 108.6 last month. The index has climbed 11.1 percent over the past 12 months after having dipped in 2014. Overall, figures suggest strengthening demand from would-be buyers, even though there are relatively few new listings on the market and sales prices are rising at a faster rate than wages. NAR says new home construction needs to increase and more existing homes need to come to market. Traditional buyers continue to replace investors paying cash. The association says that indicates this year’s activity is being driven by more long-term homeowners. Pending Scottsdale home sales are a barometer of future purchases. A one- to two-month lag usually exists between a contract and a completed sale, meaning that the gains should appear in April and May sales numbers. With pending Scottsdale home sales up, greater buying activity has yet to bring more sellers into the market, with a mere 4.6 month supply of homes on the market. Economists consider a standard market to have at least a 6 month supply of homes for sale. Right now, new homes are coming onto the market at about half of historic norms, creating a supply-and-demand mismatch that keeps younger households on the sidelines. Building more new homes would help boost supply, but home construction has been weak. Developers are focused increasingly on building apartments and more expensive homes for wealthier buyers. One factor pushing up prices is a steady decline in so-called "distressed" sales, which include foreclosures and short sales. 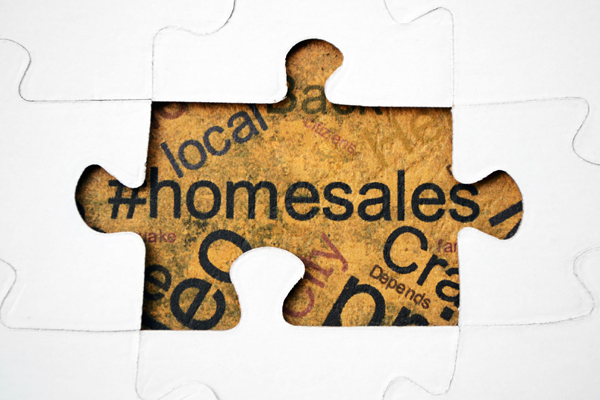 Short sales occur when the seller owes more on a home mortgage than the house is worth. Both usually sell at steep discounts to traditional Scottsdale home sales. While Scottsdale home sales continue to rise, the home ownership rate in the U.S. has fallen below 64 percent for the first time in over 20 years. The U.S. Census Bureau announced that the seasonally adjusted 63.8 percent rate in the first quarter of 2015 is far below the 69 percent rate just 10 years ago – a time when homebuying may have been the easiest for Americans. As investors continue to buy single-family homes to feed rental demand, and first-time buyers remain unable to afford rising prices, U.S. homeownership is taking a big hit. Rentership has increased dramatically since the financial crisis and Great Recession, and continues to do so as the economy improves and more young people move out of their parents' homes into rental apartments. Many of them straddle jobs while managing student loan debt or other expenses, finding it impossible or extremely challenging to come up with a down payment in the current seller's market. With millions of properties still underwater — those homes worth less than owners owe for their mortgage — there is still a stigma attached to owning a home in the wake of the 2007-2008 housing market meltdown and foreclosure crisis. However, longer-term trends seem to be pushing homeownership rates back to "normal" levels, according to Sam Khater, deputy chief economist at CoreLogic. In the mid-1990s pro-homeownership policies led to an expansion in mortgage credit and the homeownership rate peaked in 2004 at 69 percent. Homeownership rates are back to roughly their long-term trend between the 1960s and 1990s. With pending Scottsdale home sales up and not a lot of new inventory coming on the market to help slow that down, and the home ownership rate now at it's lowest level in over 20 years, could there be trouble brewing in the housing industry? The future of the Scottsdale housing market depends on jobs, and people earning enough to buy houses. But experts at a recent forum are predicting problems due to income levels. Until incomes improve across the board and hurdles to credit access are eased, it is expected that the Scottsdale housing market will continue to perform below capacity. Some of the nation's top economists meeting at a forum at the National Association of REALTORS®' Washington, D.C., office last week all echoed the same sentiment. Households could be trying to save more because of the "unique uncertainty" in people today. There's a general tendency now for people to want to save more, because they're afraid. They're afraid for their jobs. What do you do? You don't spend money lavishly; you try to accumulate some. But they don't succeed. Economists at the forum said today's Scottsdale housing market represents just a partial recovery from the severe downturn that hit the country about seven years ago, but they differed on how much of a role overly tight credit is playing in the slow return to a full recovery. The problem today doesn't seem to be a credit issue. It's more of a demand issue. Borrowers have less money now after millions went into foreclosure. We're facing a whole new ball game in the Scottsdale housing market, and it's anyone's guess if the lower income problem will be overcome soon enough to save the industry.